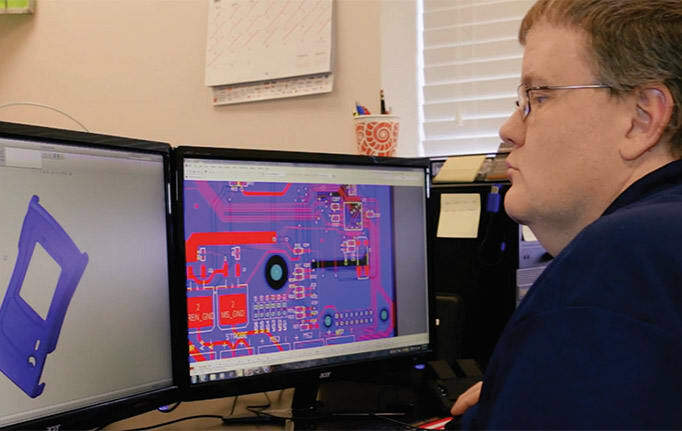 Modern electronics are more complex and customizable than ever before, and Levison Enterprises helps clients develop unique, functional, reliable electronic assemblies with a 100% focus on customer satisfaction. Build-to-print services require close communication between clients, designers, engineers, and assemblers to ensure order accuracy. When you place a build-to-print order with Levison Enterprises, you can expect a custom-crafted final product that meets your exact specifications. If you’re going to trust your build-to-print project to a contractor, then why not choose one that offers more than just manufacturing and assembly? We strive for complete customer satisfaction in everything we do, and build-to-print orders are one of our many areas of expertise. Levison Enterprises’ product designers and engineers will review your designs carefully to ensure the end result meets your needs. Once the production process begins, you will help guide us as we craft the prototype you need and begin fulfilling your order. Our rapid prototyping process is a direct result of our experienced design and engineering team who work closely with our clients. Instead of ordering products from one manufacturer, sending them to another for packaging, and then shipping them to your order fulfillment center, you can have the entire supply chain through our facility. After completing your build-to-print products, choose our order-fulfillment services to have your products shipped directly to customers. We even supply custom packaging to save you time and money on packing material costs. Our electronic component orders ship safely in custom-fitted packaging with electric-proof materials. 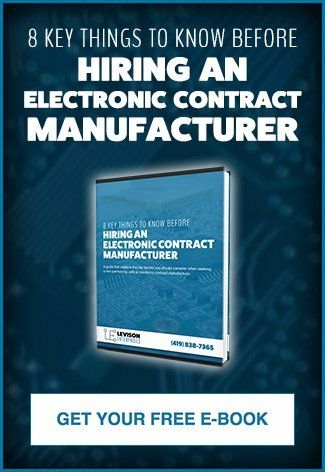 When you order electronic assemblies and other products from a contractor, you want to be sure they meet your performance and functionality standards. Whether it’s your design or ours, Levison Enterprises’ carries the checks and balances to confirm reliability by rigorous testing through every stage of our assembly process. We conduct ongoing checks as your build progresses to ensure functionality and accuracy, identifying potential problems before your project is under review for final inspection. After creating your prototype, we won’t start mass production on your order until we’re certain the product meets your exact needs and standards for quality, construction, and performance. We have the latest state-of-the-art production, testing, and implementation equipment to ensure order accuracy every time. Another benefit to keeping manufacturing and order-fulfillment all in one place is flexibility. Businesses’ needs change very rapidly in today’s market, and when you need to make changes to your products, we can quickly and easily make those adjustments. You don’t need to worry about coordinating production halts, shipping fiascos, or customer returns through multiple vendors. Instead, let Levison Enterprises handle the entire supply chain for you. If you’re interested to see how Levison Enterprises will manage your next build-to-print order, contact our team to start the planning process.